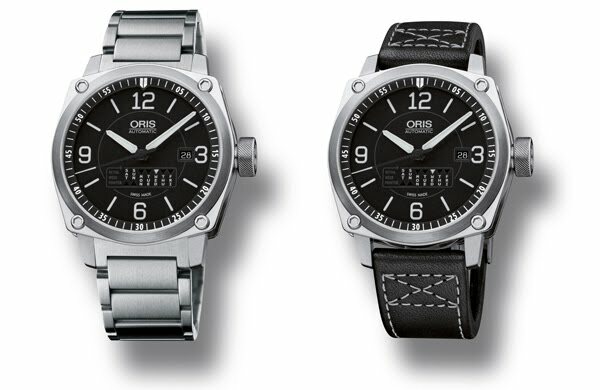 Taking inspiration from the innovation and precision of the aviation world, the Oris BC4 Retrograde Day is a technological masterpiece. The new linear retrograde calendar displays the days of the week on the dial of the watch- a clever design, to meet the demands of today’s busy lives. The central focus of the watch is the position of the triangle which makes a bold statement to the wearer. The indicator on the triangle jumps one position each day, white on workdays, red on the weekend, returning to its original state at the end of the week- this really is a timepiece designed to keep you in control. The distinctive BC4 Retrograde Day includes sapphire glass which is domed on both sides, with inner anti- reflective coating. The pristine case back features see-through mineral glassanother crisp, simple feature of this beautiful timepiece. The multi- piece stainless steel case is secured with four screws, while the two- piece black dial includes superluminova indices and numerals- perfect for reading from a distance or in low light situations. The watch features a black Gaucho leather strap with distinctive stitching detail and a special folding clasp, providing ultimate comfort to the wearer. • Multi-piece stainless steel case secured with four screws. • Date at 3 o’clock. Retrograde Day index at 6 o’clock. 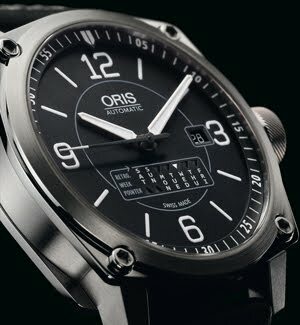 • Two-piece black dial with printed Superluminova indices and numerals. • Sapphire glass domed on both sides with inner anti-reflective coating. • Black Gaucho leather strap with distinctive stitching detail and special folding clasp. Also available with metal bracelet.